Handmade engagement rings celebrate the unique love you share in a special way. 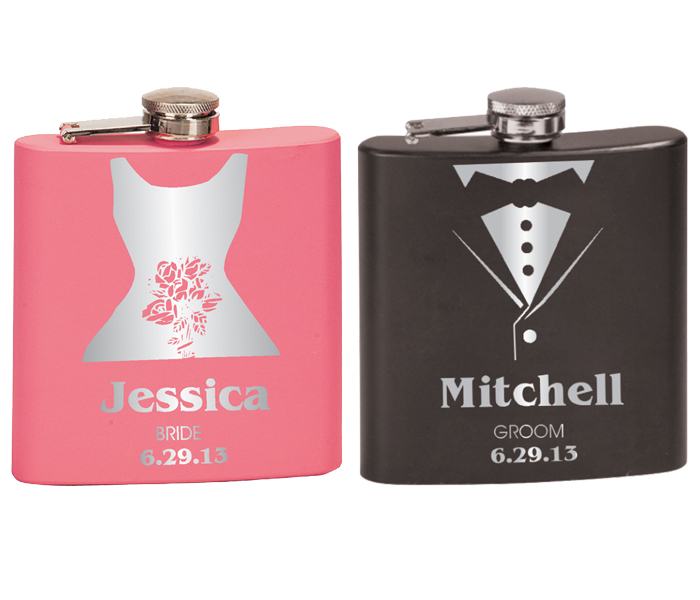 Set of two wedding flasks – a pink bridal dress flask complete with bouquet for the bride, and a black tuxedo flask for the groom. Personalized with the bride & groom’s names, along with the wedding date, this flask set is the perfect fun and handy wedding gift idea. Available from Significat. 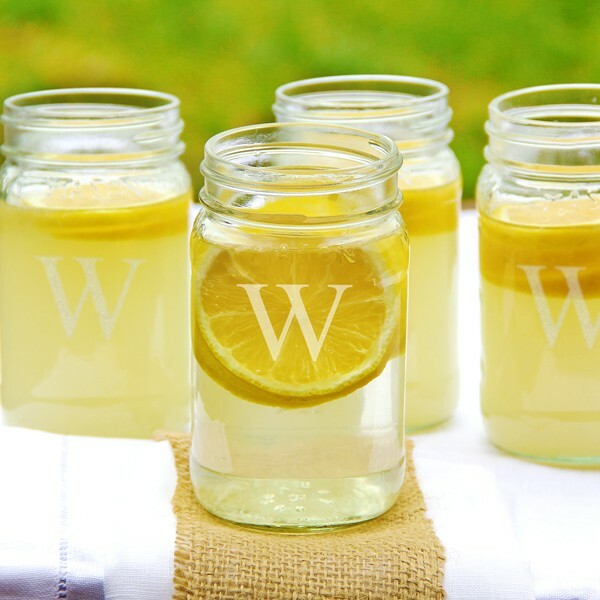 Timeless, homey, earthy, and personalized, this set of four Mason jars is personalized with an attractive block initial for custom summer glassware. 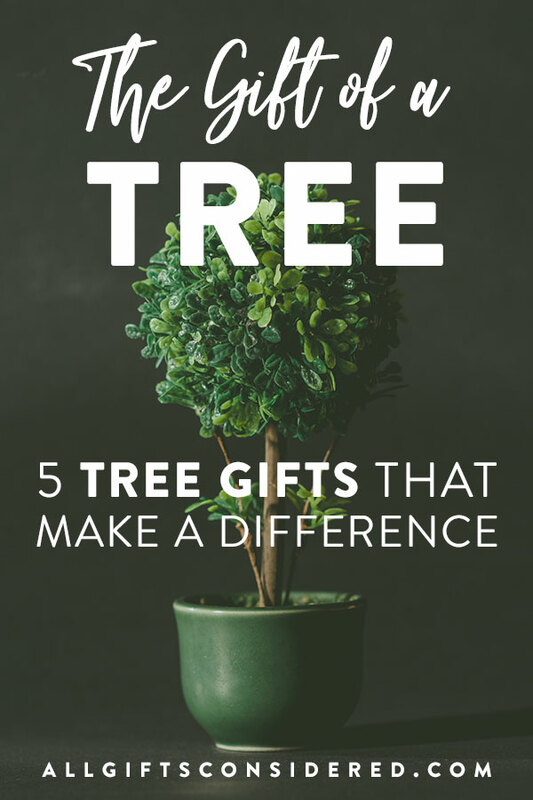 A great gift idea, and perfect for special occasions such as wedding receptions and holidays. Available from Northwest Gifts. 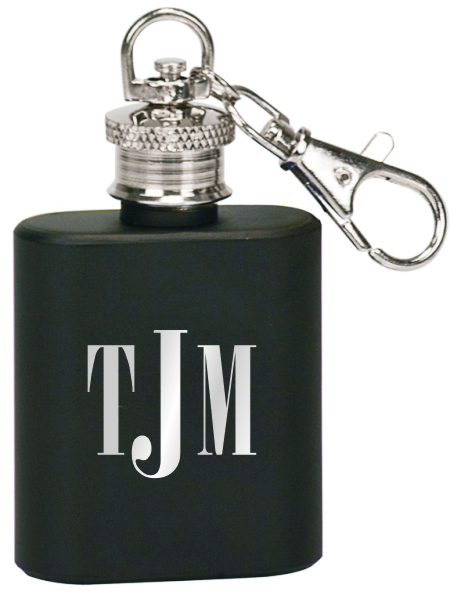 These mini keychain flasks are great gift ideas, perfect for stocking stuffers, groomsmen gifts, birthdays, and more. Available in 5 color schemes, each flask holds 1 oz of liquid, features a handy keychain clip, and is laser engraved with any text, logo, name, or initials. Colors include black, blue, red, pink, and stainless steel. 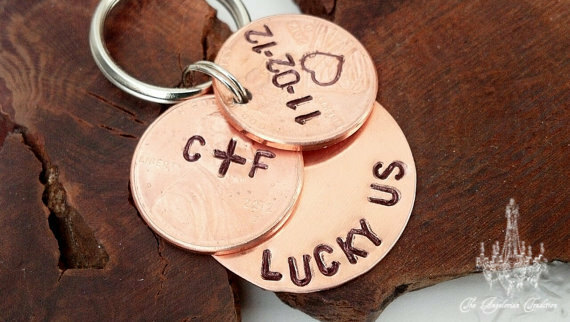 This adorable keychain comes with two pennies monogrammed with a couple’s initials and special date (wedding date, first date, etc) along with a copper keychain fob which reads “Lucky us”. A great gift idea for your loved one this Christmas or on your anniversary! Available from Angelorian Tradition, where you’ll find spades of cute phrases imprinted onto jewelry, serving spoons, guitar picks, and more metal stamped vintage flatware. 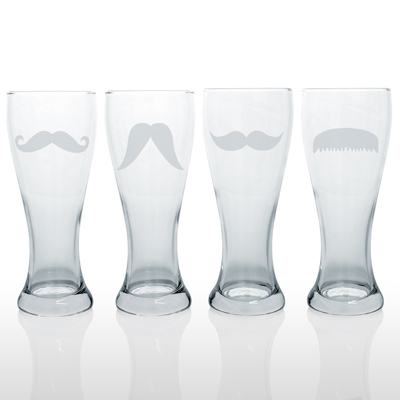 Joining the trendy mustache party is our brand-new set of four pilsner glasses. 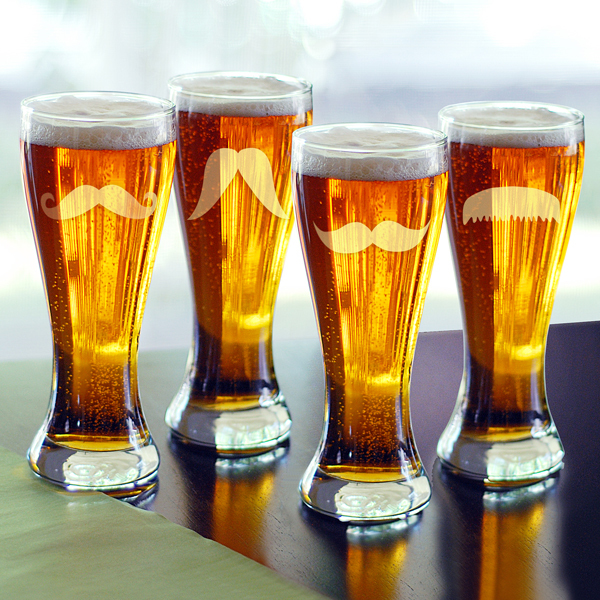 Each hand-blown beer glass is laser etched with a different mustache design for a fun addition to your man cave, or as a classy vintage-style gift idea for your groomsmen. Get them at Northwest Gifts.